You, Me and Movies: Chifilmfest Review: Could "Mudbound" be Netflix's first Oscar machine? Chifilmfest Review: Could "Mudbound" be Netflix's first Oscar machine? Race is quite a hot topic right now. Hell, just typing that feels like a tremendous understatement. Since 2014, it seems like racism has begun to rear its ugly head again in our country. Sometimes, I truly feel its reactionary claims, like with the whole #OscarsSoWhite albatross, which I totally feel is an albatross. But there have been many things that have happened over these past few years that show that racism and prejudice are still alive and well in our nation. We have, sadly, not put the past behind us. Still, there seems to be a small group of people who always complain when movies having to do with race are released. All I can say is, once we have come together, admitted what has transpired and work together to create a solution, then nothing will ever change. There have been several movies released that highlight the power of racism, but equally capture the hope that comes out of something terrible when white and black people come together. Some of the popular examples are films like “To Kill A Mockingbird” or even “Remember The Titans.” I think it’s safe to say that you could easily add “Mudbound” to that list of movies. “Mudbound” takes an unflinching look at rural life in the mid-1940’s. We see racism of all types, all shades. But we also see a hopeful world, some light at the end of a very dark tunnel. It’s told through an incredibly grounded, authentic lens. It is brought to life by a very powerful ensemble of actors. This isn’t a case of just putting together a bunch of nasty images just for the sake of it, in fact, lots of the darker moments don’t happen until the end of the film. This is a film that will make you think on a variety of levels. The film opens with two brothers trying to bury their dead father in the middle of a rain storm. The brothers Jamie (Garrett Hedlund) and Henry (Jason Clarke) are digging a big hole, and when they discover other dead bodies with shackles on them, Henry wants to move the body. “Pappi would kill us if he knew we buried him in a slave burial ground” he says. One will also observe that Jamie has a black eye and a bruised lip. When the Jackson family comes by on their wagon, led by the father Hap (Rob Morgan), Henry comes over and asks for help. The Jackson family looks very uncomfortable. Whatever has happened over the last few hours, it incredibly sad, and maybe not all our main characters are quite aware of what has happened. Then we trace back several years prior to the burial of Jamie and Henry’s father. We find out how Henry met Laura (Carey Mulligan) and how they would eventually marry. We see how their family begins to blossom. We see how Henry makes a deal to move his family into a house and begin a farming business, only to find out he got swindled. Now, they live down the road from the Jackson’s, who Henry hires as his hands for his farm. There is a tense relationship between the families due to Henry’s father Pappy’s (Jonathon Banks) racism. Jamie goes to serve in World War II, as does Hap’s oldest son Ronsel (Jason Mitchell). Jamie and Ronsel come back from the war, and become friends. Much to Pappy’s unhappiness. The families go through many other trials and tribulations. The film features several other themes instead of just race relations during this moment in American history. These characters are all incredibly complex. Laura loves her husband Henry, but he’s not the swoony, romantic type. That type of guy is Jamie, and it’s the type of personality that Laura secretly craves. There is a slight spark between Jamie and Laura, and will anything come of it? Pappy is so stuck in his old ways, he can’t see how well that Ronsel defended his country. “Mudbound” is also one of the few films to tackle black PSTD. Both Ronsel and Jamie suffer badly from it, and it’s their main link of becoming friends. Ronsel falls in love with a German woman, his experience in Germany contrasts much differently when he comes home. In Europe he was a liberator, in America he’s seen as just another untrustworthy black man. You could watch “Mudbound” several times and pick up a new storyline or a new theme, and I spent much of the film trying to soak it all up. With a group of actors like Hedlund, Mulligan, Clarke, Banks, and Mitchell putting your cast together, building characters and making them come to life, how can you worry that much? This is a beyond powerful ensemble of actors, and you better believe that they all bring their A-game to this story. Mitchell, so good in “Straight Outta Compton” two years ago, delivers a very different but just as eloquent performance. Mulligan proves once again that she is one of the best and most reliable actresses in the business right now. Hedlund and Clarke are both terrific. Banks takes a deep dive from his usual tough guy roles to bring together one of the scariest racists in all of movies, yikes. Then there is Rob Morgan. Now, if you are an avid Netflix watcher, then you know who Rob Morgan is whether you realize it or not. If you’ve been watching the Netflix Marvel shows, then you’ve seen Rob Morgan. He plays Turk Bennett, who shows up in just about every Netflix Marvel show, from “Daredevil” to “Luke Cage.” In a weird way, he’s been the villainous version of Phil Coulson, connecting those shows together. Here, he’s playing something very different. He’s the type of guy who is just trying to keep his family out of any immediate racial danger, even though he knows deep down that he may not be able to make that promise. Not being able to do so freaks him out a little. He’s also the type of guy who wants his family to fulfill their dreams, even if he’s a little scared of the world they will grow up in and eventually live in. It’s beyond a captivating performance, Morgan radiates about a thousand different emotions using one face, scene by scene. I think Netflix has been building towards this for a while now. This year, I think they have the opportunity to do what they have not done yet. I think this will be their first award circuit film. You can pretty much take your pick with any of the actors I listed above and they could possibly get nominated. You can look at set design, you can look at cinematography, and possibly even direction. (Big possibly, let’s see what other directors bring to the fold this winter) This could be a defining moment for the web streaming service, and man, what a movie to do it with. 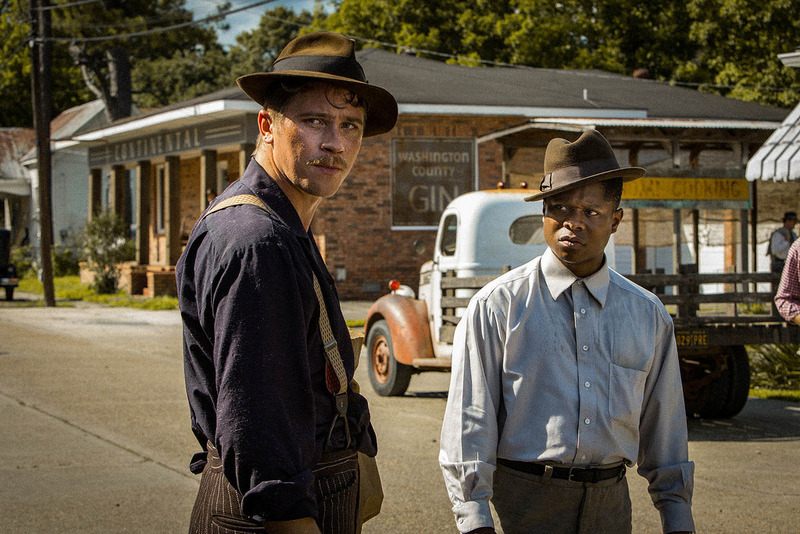 “Mudbound” may take you places you aren’t going to want to go, but it does so with confidence that is hard to beat, and it will constantly plug away at your brain. "Mudbound" will be released on Netflix on November 17th.